SEOUL - The Democratic People's Republic of Korea (DPRK) has executed the powerful uncle of young leader Kim Jong-un, state media said on Friday, the biggest upheaval in years. Jang Song Thaek, considered the second most powerful man in the DPRK, was killed just days ahead of the second anniversary of the death of Kim Jong-il, the father of DPRK's current top leader. Jang, 67, uncle of Kim Jong-un was executed on Thursday immediately after the Special Military Tribunal convicted him of committing "unforgivable crime as traitor." 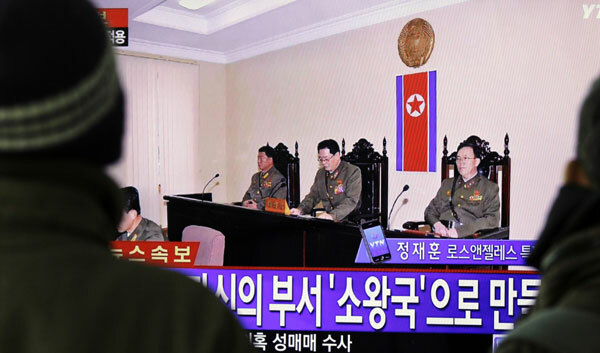 The deposed senior general, who was vice-chairman of the National Defense Commission and secretary of the Workers' Party of Korea (WPK) administration department, admitted at the trial that he has premeditated a coup against Kim. Jang was stripped of all posts and titles for "anti-party and counter-revolutionary crime" after an enlarged meeting of the Political Bureau of the WPK Central Committee on Sunday. 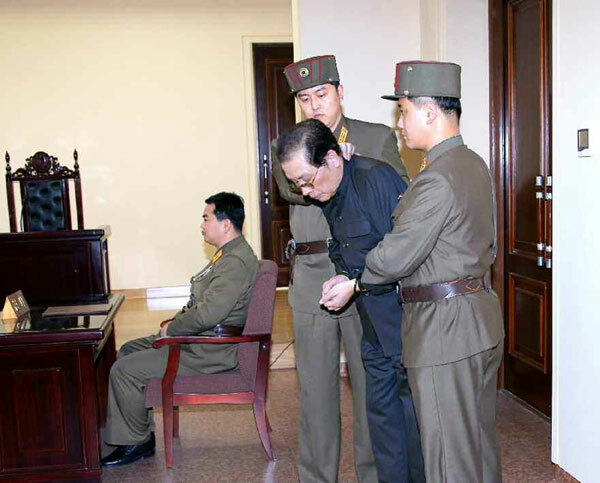 The DPRK's KCNA news agency released pictures on Friday of a handcuffed Jang being manhandled by guards and said that he had been executed for trying to seize power and for driving the economy "into an uncontrollable catastrophe". Jang was pictured in the ruling party's Rodong Sinmun newspaper without his Kim Il-sung loyalty badge on his lapel when he was led away, which would indicate his disloyalty to DPRK people who all wear lapel badges. The Republic of Korea (ROK) expressed deep concerns about a series of occurrences in the DPRK, including the execution of Jang Song-thaek, Seoul's Unification Ministry said on Friday. "The government is closely monitoring the series of incidents, which are happening in North Korea (DPRK), with deep concerns," Unification Ministry spokesman Kim Eui-do said in a televized statement. Kim said the ROK will make a full readiness against all possibilities in the DPRK, noting that it will closely consult with its allies and related countries.